The story of how governments affect inclusive business (IB) growth is not a simple one. Moaning about government regulation and red tape simply does not do justice to a complex field. Increasingly we see a host of positive and negative influences of government and policy, some more explicit than others. What strikes me is that the positive influences of government are becoming more evident in the IB landscape, and the most significant influences of government are probably the least evident to most observers. 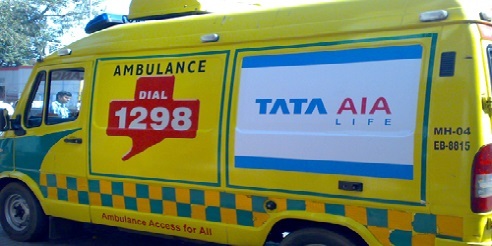 Ziqitza Health Care Limited (ZHL) runs an ambulance service that enables low-income people to access emergency treatment. Part of the business is run as a public-private partnership with government, won through a tender by ZHL and paid for by government. This was the first such tender, and the demonstration effect of ZHL’s business helped make the case for a public tender approach. Waste Ventures gathers and recycles waste, creating jobs for marginalized people and promoting cleaner cities. Its current rapid expansion is partly thanks to new contracts from several municipalities. (Read a NextBillion post on Waste Ventures and an interview with its CEO here). DataWind’s initiative to provide low-cost data tablets in India has been boosted by the government’s procurement of mobile tablets in an effort to improve access to quality education. As of last year, the government made up around 20 percent of DataWind’s sales, and it has been an important catalyst in building the consumer market. For supply to students, the government not only waives duties and taxes, but also subsidizes the cost by 50 percent for the Aakash 1 edition. (Read a NextBillion post on DataWind and an interview with its CEO here). Regulations that raise standards can be critical for the growth of an inclusive business. For instance, Sproxil provides an SMS verification service to help customers avoid counterfeit medicines. In Nigeria, it received a boost when government regulation required such verification for all antibiotics. Sproxil was the first company to be an approved provider (there are now four others), and was influential in creating the case for regulatory change. Another new kind of positive regulation is emerging, which specifically creates incentives for inclusive business. Examples include accreditation for inclusive business in the Philippines, and the U.K. Government’s development of tax incentives for impact investment. While those regulations create a host of challenges in defining what exactly is “in” or “out,” they nevertheless help focus finance and attention on inclusive business. A U.K. lawyer told me last week that he was unusually busy, because “mainstream” investors were asking about the legal implications of changing tax regulations around social investment. Of course there are plenty of examples where regulatory environments are an impediment for new business, particularly for start-ups based at the BoP. M-Pesa has not taken off as swiftly in other countries as in Kenya. Part of the reason, particularly in India, is the less-friendly regulatory environment. Conversely, Abellon Clean Energy has a successful bio-pellet business in India, but a different and difficult regulatory context has hindered its expansion into Ghana. Also in Ghana, Ajinomoto is developing nutritional products for children. It has also had to invest in local expertise to navigate the intricacies of local health regulation in Ghana. Import duties and delays hit small companies hard, and are often lamented in the inclusive business space. As AfriNut, a Malawian peanut processor got going, the first season’s production was quite difficult to plan because machinery got stuck at the port. In Kenya, clean cook stove maker Envirofit is shifting to the local manufacture and assembly of its products. One reason for this is that import costs and duties can effectively double prices. Then there are the less obvious impacts of government, negative and positive. Among the strongest (but less evident) impediments created by government are subsidies elsewhere in the system that undermine the competitiveness of an inclusive business. The most obvious is kerosene subsidies, which affect the competitiveness of liquefied petroleum gas or solar power. While the majority of low-income populations still rely on kerosene, the political reasoning is understandable. But the day will come when it is energy, not kerosene, that is subsidized, and the terms of competition will shift. Businesspeople rarely want government to set standards, certainly not compulsory ones, for their sectors. But the value proposition of an inclusive business often rests on quality – be it seeds, fertilizers, solar panels, or even education. There is no doubt that the solar product sector is suffering from customer dissatisfaction with cheap low-quality products on the market. It’s interesting to hear that the Kenyan Government has introduced a requirement for training of solar-system installers. I hear people argue that these sectors are too young for government-imposed standards, but my guess is that innovative businesses and government are likely to be working together on standard-setting over the coming decade or two. Attention has shifted from inclusive businesses to the inclusive business ecosystem in recent years. So far it is mainly donors, rather than national governments, that have explicitly invested in business service providers, incubators, accelerators, IB Hubs, and financial intermediaries. But government investment in the SME sector – in SME finance, consumer awareness and information systems – are is also building the ecosystem that enables inclusive business to grow. As I think we know but often don’t say, that remove inadequacies in government provision are actually what drive business opportunities at the BoP. Urban toilets, such as those provided by Sanergy, low-cost school franchises such as those provided by Bridge Academies, and solar household systems such as those provided by Solar Now, are gaining traction amongst BoP customers precisely because they cannot access the sanitation, education or energy they require from the public sector. This raises a question for me. If and when government expands the network of sewers, or electricity pylons, what happens to the markets for these companies? Does the need for this kind of inclusive business fade? I assume the scale of the challenge will take decades, and in the meantime the businesses will evolve and continue pushing the boundaries of innovation in meeting needs of cash-poor customers effectively. Business will set new norms for government provision, and government provision will push business to innovate further. That’s the positive outlook at least, preferable to the negative scenario, where government just “doesn’t bother” at the BoP because business does a good enough job. I met some interesting Kenyan families last month. I had always assumed off-grid solar energy products were for households that are simply too far from the grid. This time I met two families who actually had the wires and access for a grid connection. But the costs for safe wiring, certification and connection were simply too high, and the reliability of the grid too low, to make the investment worthwhile? So they have solar home systems instead. That raises questions for me about the shape of future public investment. I don’t assume that Global South governments will roll out infrastructure for landline telephones, because their countries have simply leapfrogged that stage. Will governments continue to roll out public services in water, sanitation, energy, education and health in the same way they have, slowly, for decades? Or will some fusion with inclusive business models emerge? Will hybrid models, where consumers cover operating costs and public money covers capital set-up (for example of water treatment plants) become not just a transition, but a normal way of operating? Looking ahead some years, the question is not just how government influences inclusive business, but also how inclusive business influences government. Several companies mentioned in this blog are members of Business Call to Action and the examples are taken from Breaking Through: Inclusive business and BCtA. Sanergy, Bridge Academies and Solar Now are investees of Fund Managers within the DFID Impact Programme. Waste Ventures was a grantee of Sida’s Innovations Against Poverty. Watch the interview with Waste Ventures CEO Parag Gupta. AfriNut was a partner of the Business Innovation Facility. For more information about their business model, read The 4Ps of inclusive business: How perseverance, partnerships, pilots and passion can lead to success, which draws together findings on inclusive business models that work – or don’t – and the journeys that companies are making, based on the experience of the Business Innovation Facility pilot. This blog was originally posted on the Practitioner Hub for Inclusive Business as part of a series on the role of government and policy in inclusive business. This blog is a part of our May 2015 series on the role of Government and policy in inclusive business. To view all the articles in this series click here. Caroline Ashley is the editor of the Practitioner Hub on Inclusive Business and an independent consultant at Ashley Insight Ltd.